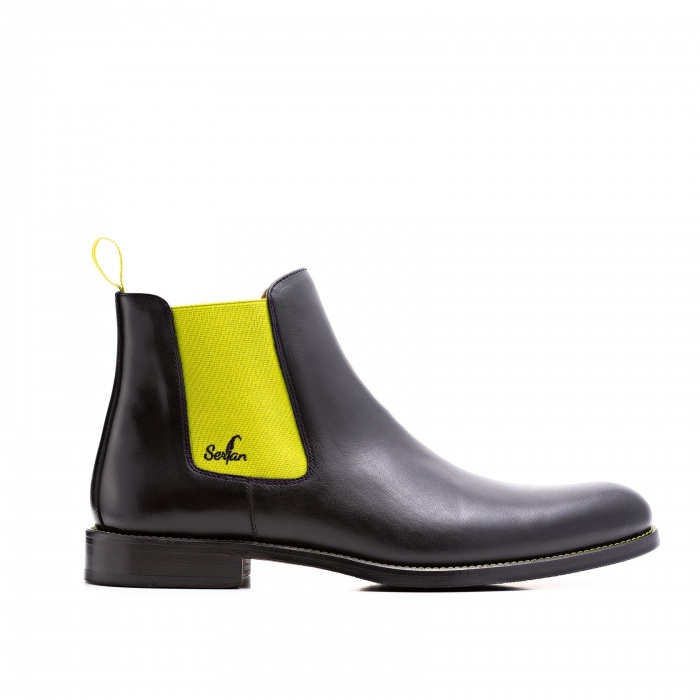 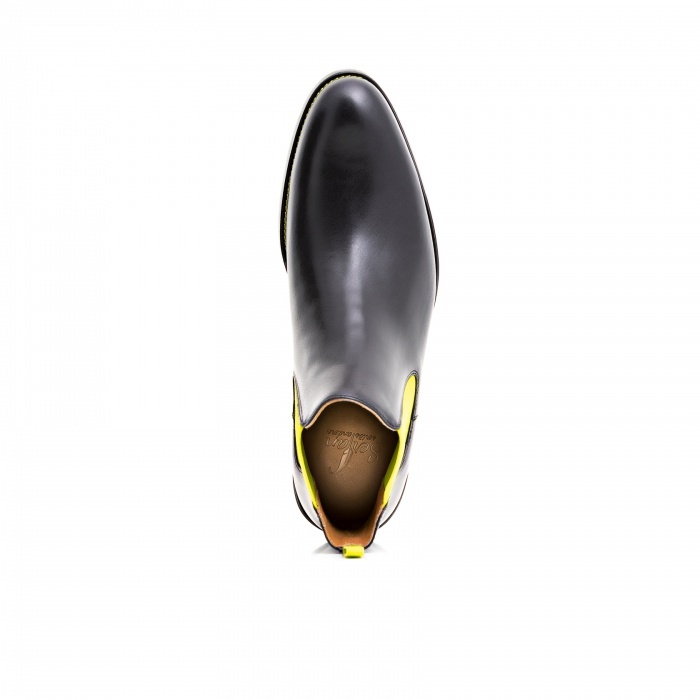 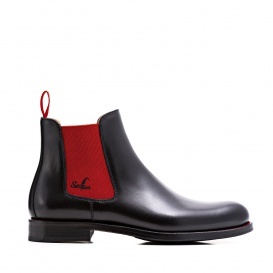 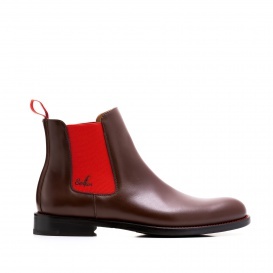 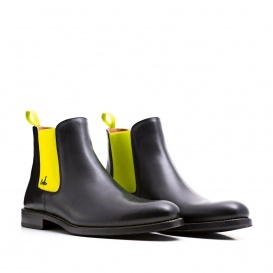 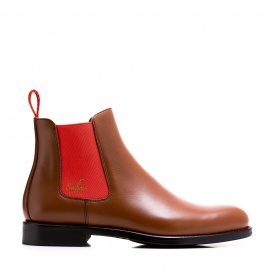 The modest Chelsea Boot in black with the yellow elastic bands convinces all the fashion-conscious man thanks to its elegance. 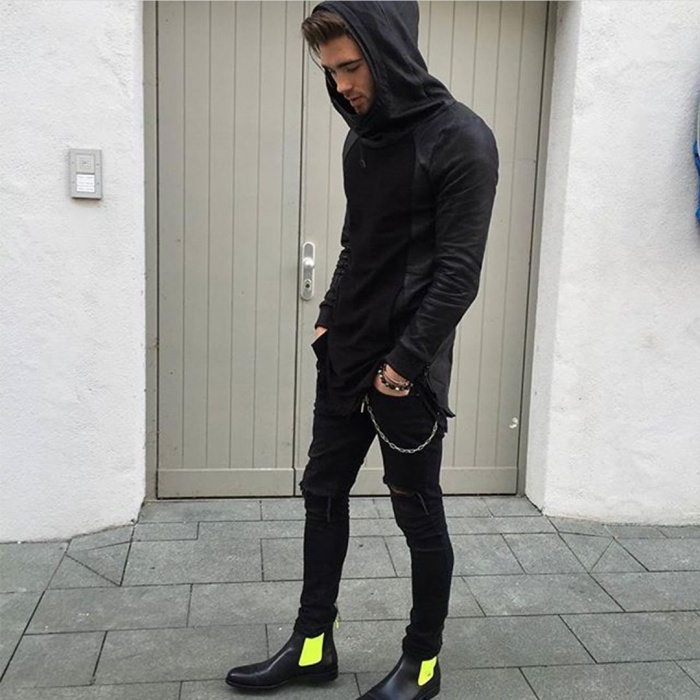 Black is considered as a manly and functional colour. 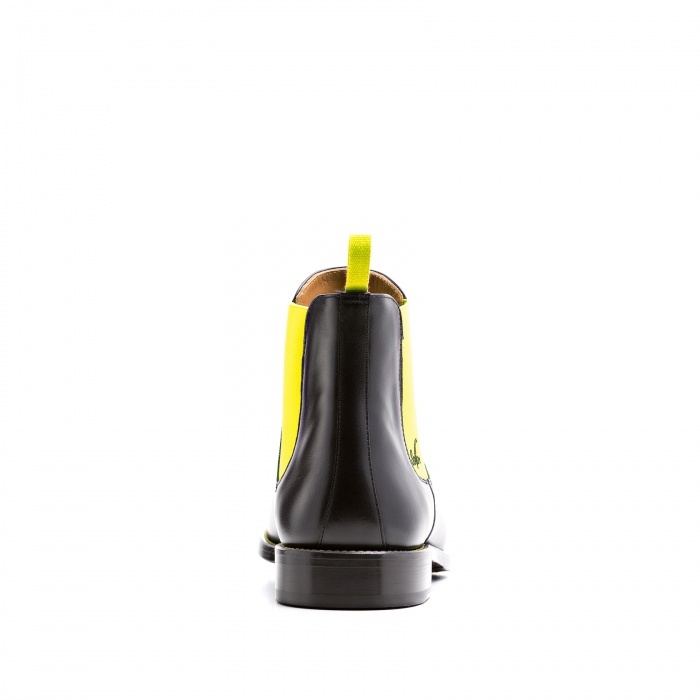 The elastic bands in yellow loosen the appearance of the boots and express brightness and joy during your everyday life. 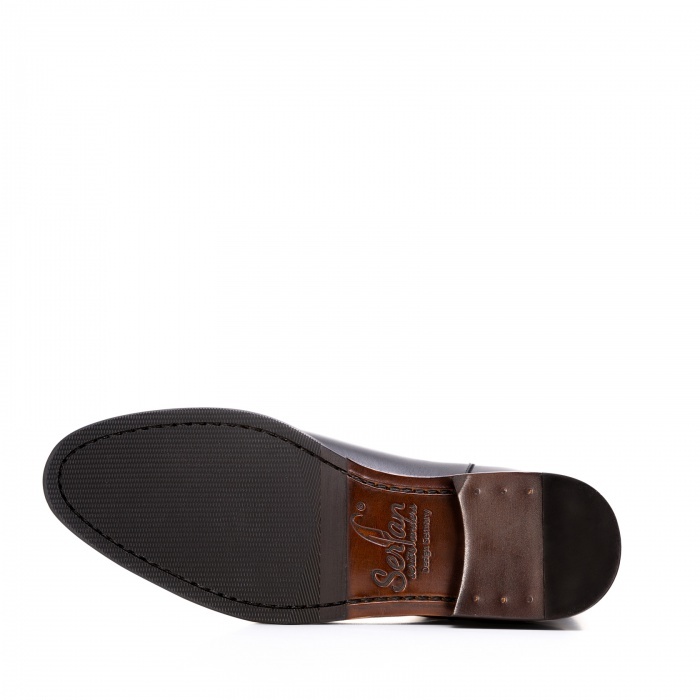 Due to the elastic bands on both sides you have a very high wearing comfort and an excellent fit. In combination with a casual shirt and a black leather jacket you can create a very stylish look, which will draw a lot of attention to you.